Suppliers of Lapp cables , Unika cables , Helu cables , Belden cable ,Alpha Wire , 3M cables, ships cables, UL approved Cables, WRAS approved cables. Contact Cables is more than just a supplier of cable, we have over 15 years of industry experience in the supply of cables to meet our customers specific application needs. 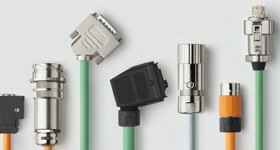 We are able to offer genuine Lapp cables, Belden® Cables, Alpha® Wire & Cable, 3M Cables , connectors & tapes , Helu cables & Unika Cables and many more of the worlds leading manufacturers. We are a UKAS ISO9001:2008 management system certified company. 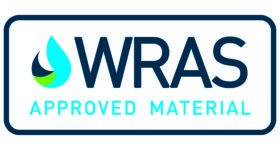 With the continued increase in the cost of raw materials cost is a real issue so we work closely with our customers to ensure that they are buying the right products at the right price. We like to get involved at the design stage of any project to ensure our customers are offered products at the forefront of cable technology. If there isn’t an off the shelf solution then the Contact Cables Design Service (CCDS) will work with our customers to design a bespoke custom made cable solution.These cables can be produced with MOQ’s as low as 1000Mtrs and take around 5-6 weeks to be manufactured.CCDS have already had success in designing bespoke cables for the ANPR (Automatic Number Plate Recognition) market, CCTV systems, Home Audio/Entertainment, Petrol Forecourt cables & UL/ cUL cables in customer specific jacket colours. We are more than just a supplier to our customers; we are solution providers who continually strive to offer the highest levels of support & service. We will investigate what the market has to offer and come back to you with data sheets , samples & costings of our recommended alternative. If you are working on a new project or requirement / specifications change on a current requirement they why not ask us for our help and advice?